We know choosing a guest speaker is one of the most important elements within an event. Our “Quick Tips” will get you give you practical solutions to guide you to select the right speaker for your event. HOW TO SEARCH SPEAKERS ON "SPEAKERSCANADA.COM"
1- Find A Speaker by using our Find A Speaker Search Tool to narrow your search. From our search tool you can select Your Industry, The Topic Category, The Sub Topic, The Speaker Type, and The Speaker Region to within this Search Tool. You do not have to select them all as each category you select or deselect, will broaden or narrow speakers customized to your preference. 2- Our Speaker Topics section allows you to select your industry and then narrows your search to the topic of your choice. It will then send you to a list of all speakers within that topic. 3- Our Speaker Types section lets you narrow your search by the Type of Speakers you want to look for. 4- Speaker Regions helps you find speakers in your province or in a Canadian Region, so you can look for speakers closest to you. No matter which option you choose, the Find A Speaker Search Tool is always of easy access. You can always start over or narrow your search once you find a list of speakers. Review the speaker profiles and save your preferred speakers using your "My Shortlist"  function. Once you add a speaker to “My Shortlist” you can keep searching and keep adding speakers until you have completed your search. Each speaker you save will be in your “My Shortlist”  folder. Email the list to yourself and/or your committee for reference. After you have completed your search, look for the Red Maple Leaf with a number inside at the top of each page and click the icon. Your shortlisted speakers will appear in a list which you can email to any colleague or download for your future use. “We will not contact you about your shortlist”, unless requested. Your bureau agent will also be cc'd, and using a consultative approach, can help you narrow the list to highlight the best speakers for your event, by better understanding your event objectives, audience profile, budget, and more. Using our experience, we'll also come up with ideas that may have been missed in the original search. Speaker rates are typically standard whether you found the speaker directly or are advised by an agency, as speakers typically pay agencies for our support in confirming engagements, so they can focus on their day-to-day priorities and know their speaking engagements are handled by a firm that is set up to help with recommendations, marketing materials, contracting, travel planning and more. Let us help you in your search. Call or Email with us anytime and we will talk you through the process. We want to help set you up for success and engage your audience at your next event. We can help with all the categories below as you search for just the right person to enhance your event. Here Are Some Tips When Hiring A Speaker For Your Event! Consider your audience, theme, organization, and the purpose of your conference or meeting and choose a speaker who will suit those needs. Do you want a celebrity draw, topic specific content, a bestselling author? Do an assessment on the desired learning outcomes of the presentation. Most speakers will have a speaker profile card, including a profile & experience summary, media article features, topic specialties and testimonials. Review their profiles to get a better sense of their credibility on their topic area. 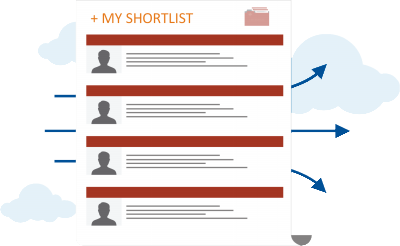 Use our search tool to help you narrow down your “Shortlist”. Find a Speaker will do all the legwork for you and take the guess work out of speaker programming. Search for speakers based on one or more of the following: Name, Area of Expertise, Presentation Type, Topic Area, Location, Keywords, Price and more! Determine whether you are looking for a speaker to provide information, inspiration, entertainment, or a combination of all three. Do you want interaction or primarily a keynote to stimulate thought? Through understanding your event, and the time of the speakers’ presentation, you will be able to assess the speaker style you require to make the event a success. Many speakers have online video on their portfolio page, either speaking or an interview format to give you a sense of their style, sample content, and audience response. Ask your colleagues, speakers bureau or meeting planner for recommendations of great speakers they’ve heard and/or speakers who can identify with your organization and your event needs. Ask other organizations that are similar to yours for references of quality speakers. 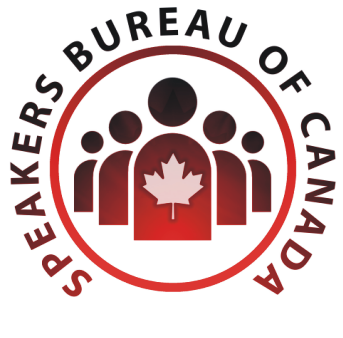 The Speakers Bureau of Canada will go over your desired learning outcomes with you and compose a comprehensive list of speakers that can present for you within your budget. We access a network of speakers that are not listed on our website, and we also know our speakers best. This gives us an advantage to provide you with speaker recommendations that resonate best within your industry. You can find real time twitter feedback or online event reviews from audience members who have heard the speaker. These quotes are often unsolicited and provide further confirmation of the speaker’s talent. We compile these quotes for your reference. 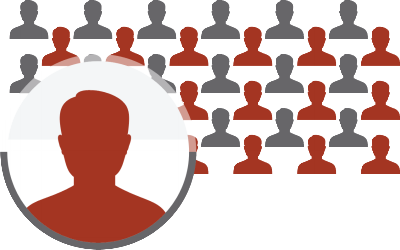 You can also request to obtain the contact information for a member of an organization that previously had the speaker in recent years to check on the speakers’ performance and help you better understand the speaker before you select them for your event. Determine your speaker budget and ask for recommendations within your budget range. There are excellent speakers in most every budget range. You can always increase your speaker budget by using our practical advice in our Event Planning Tools section. Want a chance to connect with your speaker before or after confirming them for your event? We can arrange that for you, so you can discuss your organization’s needs and the focus of your event to ensure a customized presentation to the desired learning outcomes. Consider your travel budget too – do you need someone close to your venue, or do you want to bring in a speaker your audience wouldn’t normally have access to? We all love feedback to help us improve and know what works! Share with us and your speaker the feedback from audience members and your own views on the speaker’s style, content and impact on your group.